I have been baffled for years at Americans’ inability to understand Europe and the euro. In 2010, prominent economists such as Paul Krugman, Joe Stiglitz, and Nouriel Roubini were running around saying that Greece should be kicked out of the Eurozone. They said Spain should quit the euro, go back to the peseta as a currency, and devalue. They also said the Eurozone should break into a “two-tier” structure with a Northern Tier of hard currency countries like Germany and the Netherlands, and a Southern Tier of currency weaklings like Italy and France. I publicly argued with all of them at the time. I said no countries were being kicked out, no countries would quit, and new members would be added over time. That’s exactly what happened. When I made my forecast there were 16 members of the Eurozone. Now there are 19 members and a 20th is on the way soon with others waiting in the wings. (The UK “Brexit” is another matter because the UK never joined the Eurozone. They are exiting the EU, which is not the same as the Eurozone. 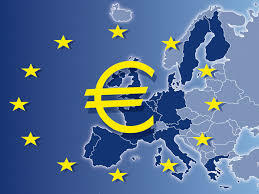 The Eurozone is far more important precisely because it has its own currency and central bank). I even wrote an entire chapter on the economic strengths of Europe in my 2014 book, The Death of Money. This article vindicates the view I have taken all along. It explains how Europe has become a magnet for direct foreign investment, and has taken steps to address longstanding issues of labor mobility and inefficient regulation. The euro is poised for a major rally against the U.S. dollar. This article explains why.